We get technical support questions pretty regularly requesting info on how to perform tasks like updating a mainboard BIOS or making filesystem fixes. I thought it might be helpful to offer our general procedure so others can have access to this information as well. 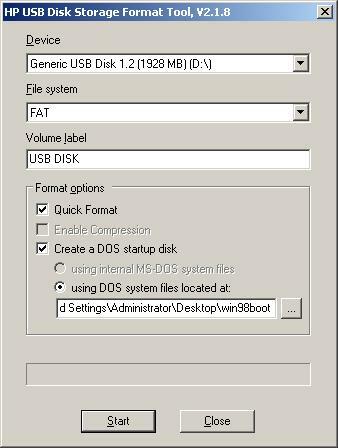 Here’s a quick how-to on Booting to MS-DOS 7.0 from a USB Drive. Download and extract the win98boot.zip. This directory will be used later. Download SP27608.exe. Run the installer to install HP USB Disk Storage Format Tool. Under “Device” select your USB drive. Click the box labeled “…” and navigate to the “win98boot” directory you extracted earlier. Your USB drive is now bootable. Insert your newly formatted drive into any USB-bootable mainboard, reboot, and select the USB drive as the first boot device. You will be brought to a Windows 98 MS-DOS prompt. From here you can update your BIOS, make system disk fixes, etc. The Chenbro ES34069 Case Review, Part 2: The Perfect Mainboard? A kind reader informed me that my download links were dead. I’ve updated with new links to direct downloads hosted by Extreme Overclocking (extremeoverclocking.com). so much easier than creating a virtual floppy drive. sir ………….Thank q giving this soft ware this only booting Fat- files but i want NTTS- files also booting sir. This is only intended for booting DOS using FAT32 formatting. DOS had “fallen off” by the time NTFS was popular. There are utilities out there that will allow for NTFS-file management from a DOS boot environment. I haven’t played with those in quite awhile now, but bootdisk.com is a good resource for this. 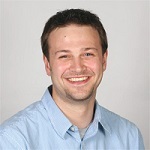 I would check their site out and see if you can accomplish what you need with their writeups. I have had success with the utility “rufus” http://rufus.akeo.ie/ . The latest version has FreeDOS built-in as an option, so this is a one stop solution. Is there any reason not to use the AMI BIOS updater AFUD431.EXE under FreeDOS ? I have not found any issues. After reading a bit about FreeDOS, I don’t see any reason why the typical dos-based BIOS update tools wouldn’t work in FreeDOS. I haven’t had any experience with it, myself, but it sounds promising. This is exactly what i needed !!! I’m trying to do that over a week ago, and this is the right way !! I want to make BIOS update to motherboard. I tried with startup disk from WinXp (to another PC without operating system) and it was totally failure…. The closest solution was Microsoft XP recovery console, but there are so many limitations, the only useful commands there, was dir and mkdir, so it was totally crap. I haven’t tried FreeDOS yet , maybe will work that to. Thanks , you really saved me!!!!! WIN98 for EVER!!!!!!!!!! NOTE:This only works with USB Stick, it’ won’t work with flopy disk as Win98 startup disk. Ha! Glad I could help, John. It sounds like there’s an issue with your USB drive. I would try a different USB drive or, alternatively, reformat and run a scan on the drive to ensure it’s fully-functional. Using FreeDos, I want to perform copy from C:( i.e, Bootable DOS USB) to HDD ‘ s C drive(NTFS). I want to add entry in AUTOEXEC.BAT for that. I am newbie. the link to download the usb bios bootable file does not open , is there another link ? This doesn’t work in Windows 10. The system falsely reports to the utility that the USB drive is “write protected”.